Tell me about your gallery. 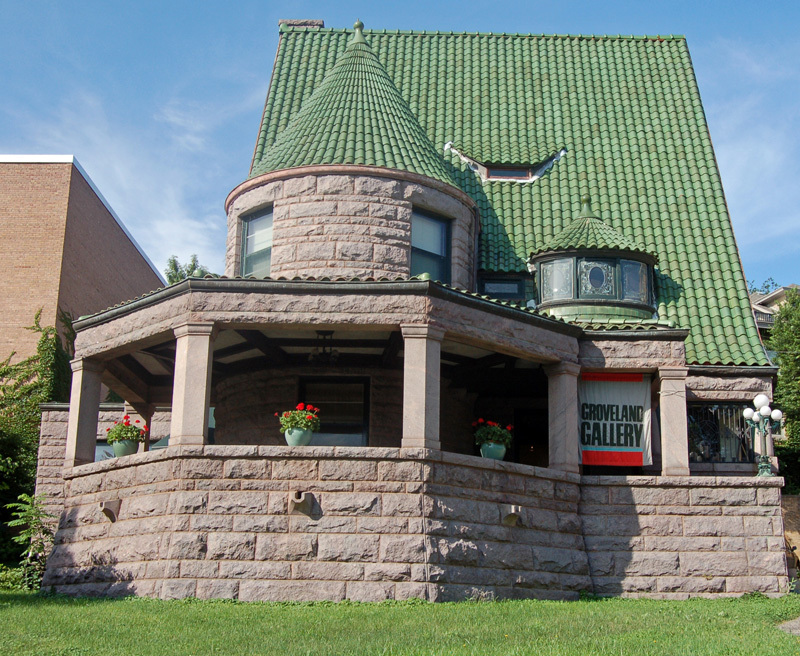 Groveland Gallery was established in 1973, making us the oldest gallery in the Twin Cities. We are located in a restored 1890’s mansion on Groveland Terrace, across the street from the Walker Art Center Open Field. 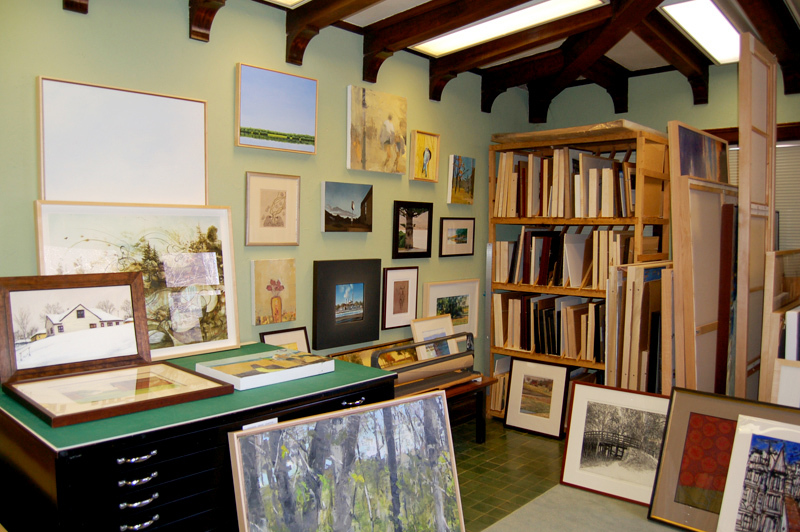 We specialize in paintings, drawings and prints by regional artists with an emphasis on representational art. We represent the work of over 30 artists whose work includes a variety of styles from photorealist landscapes to expressionist figurative painting. We frequently include guest artists in our group exhibitions and host numerous events such as demonstrations and artist talks. 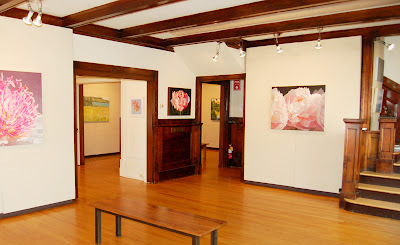 The gallery includes three distinct exhibition spaces: the Main Gallery and The Drawing Room, which are located in the mansion, and The Groveland Annex, located in the carriage house behind the main building. Our exhibitions change eight times a year, offering our artists frequent opportunities to show their work. Collectors enjoy a large variety of work to view and collect throughout the year. Who are three or four local artists who represent the quality and style of work you exhibit at your gallery? How do you prefer artists contact you regarding exhibiting in your gallery? 1. Via mail: please send us a letter of introduction, a resume or CV, an artist statement, bio and a CD of images along with a self-addressed stamped return envelope. 2. Via email: please send us a letter of introduction, a resume or CV, an artist statement, bio and a either a link to your images on-line or a zipped file of jpeg image files. 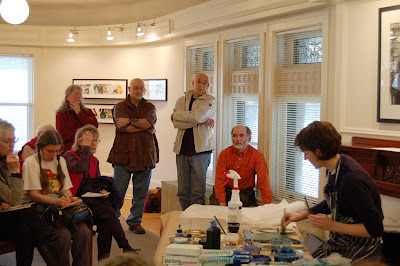 What general advice would you give to artists trying to show in local galleries? 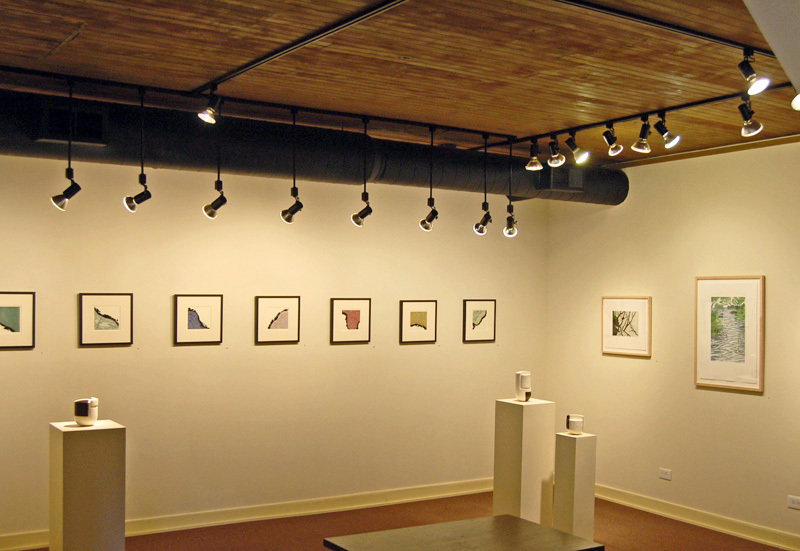 We suggest artists visit galleries before approaching them for representation. It is important to know if your work will be a good fit for the gallery before inquiring about representation. We also advise artists to ask the gallery staff how they prefer to receive submissions. What is the typical price range for works for sale in your gallery? We have many works on paper in the range of $100.00-1,000.00 as well as paintings that range from $800.00-$15,000.00 The majority of work sells in the range of $1000.00- $5,000.00. Do you have any advice for collectors looking locally to buy art? Enjoy the pursuit! We suggest visiting several galleries, art centers and studios. Ask questions and avail yourself to the expertise of the gallery staff. We are happy to help collectors in a variety of ways: we can contact them when we receive new work that might appeal to them, we encourage collectors to take artwork home on approval to try it in their homes or offices, and we often visit collectors’ homes and suggest appropriate artwork for their spaces. We also are available to deliver and install artwork. If by chance all of the local art galleries were having opening receptions on the same night, where else would you recommend people go to maximize their art experience?